Writing a capstone paper is not a simple task, however, the capstone project proposal examples should provide some insight on the first steps of the assignment. The capstone project is the assignment that students anxiously anticipate, knowing that its completion requires a significant amount of time and effort. Such thoughts do not arise without a reason because the capstone project is a very serious assignment that is designed not only to assess and summarize the student’s educational experience over the course of his or her program but to test his/her ability to conduct independent research. During the final semester of education, in order to prove their academic maturity, students are required to partake in academic projects that concern topical research that rely on their field of study. In order to assist the students in choosing the correct topic for research, tutors often require them to provide a capstone project proposal beforehand. This allows validating that the student is working in the correct direction. As a result, one should find the provided capstone project proposal examples to be useful for completing the task at hand. Tutors often assign their students to provide a proposal paper for their capstone project before they begin working on it. The proposal is a short paper that should describe the project that the student wishes to conduct as part of his/her capstone exam. Therefore, the proposal should directly inform the tutor of the student’s intent. It should be informative and laconic. The ideas in the proposal should be stated fully and clearly. A capstone proposal is no mere suggestion or set of ideas. It is a fully designed plan on what type of research is going to be conducted and what resources will be involved. Sociology: a public survey. The suggested research would concern a sociological analysis of the local population’s political opinions on the upcoming election. 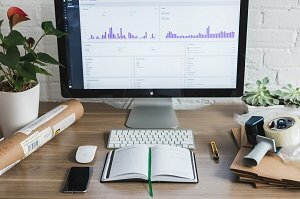 Computer science: developing a computer program. In the project proposal, one suggests developing an SEO-analysis software tool that would allow gathering marketing related information on the Internet.